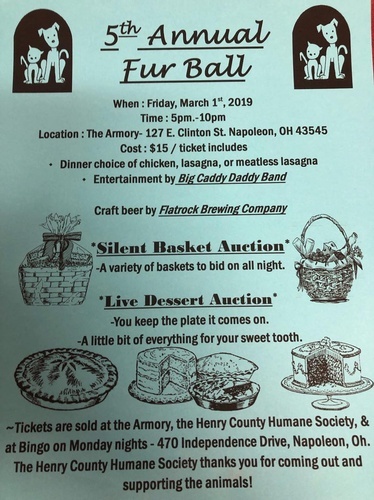 5th Annual Fur Ball to benefit the Henry County Humane Society. Big Caddy Daddy on the stage! Can be purchased at The Armory, The Henry County Humane Societty & at Monday night Bingo.